Jyväskylä is a city and municipality in Finland and in the western part of the Finnish Lakeland. Eschew the tourist crowds and head to Pyha-Hakki National Park and University of Jyvaskyla. 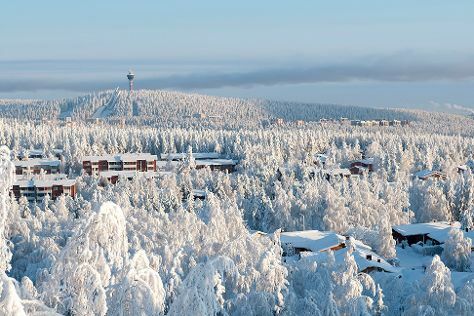 Change things up with these side-trips from Jyvaskyla: Leivonmaki National Park (in Joutsa), Kuopio (Puijo Tower, Room Escape Games, & more) and Serlachius Museum Gosta (in Mantta-Vilppula). There's still lots to do: examine the collection at The Alvar Aalto Museum, take in the waterfront activity at Jyvaskylan satama, hike along Paijatsalo Trail, and take an in-depth tour of Finnish Air Force Museum. To see maps, where to stay, and tourist information, use the Jyvaskyla trip builder app . In June, daytime highs in Jyvaskyla are 21°C, while nighttime lows are 8°C. Wrap up your sightseeing on the 7th (Fri) to allow time to travel back home.